The Foundation and the Provincial Environment Consortium of Segovia, part of the County Council have established a collaboration agreement under which have been installed so far a total of 40 containers of textiles used in 20 municipalities, which include Cantalejo, La Granja de San Ildefonso, San Cristobal de Segovia, Riaza or Torrecaballeros. 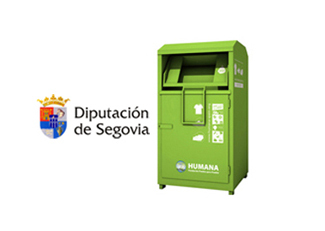 The incorporation of the Consortium to Humana recycling and cooperation network will provide residents of these municipalities a simple and safe to make donations of clothing and footwear for a weekend of solidarity, backed by professional service already performed in more than 800 municipalities in Spain. The goal is to expand the collection network in the province by installing more containers at other locations Segovia. 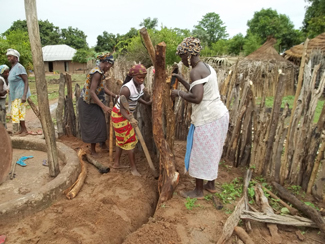 The management of collected textiles allow obtaining funding and resources for development cooperation programs in Africa, Latin America and Asia in the fields of education, agriculture and rural development, community development, and infectious diseases and emergency assistance.